Macys Black Friday in July Sale Has Started! Here Are The Top Deals! Macys has started their Black Friday in July Sale! This sale starts today and ends on Friday the 13th with different promotions each day! Today you can take an extra 25% off sale and clearance items (Some Exclusions) AND FREE Shipping no minimum! Normally you only get free shipping with a beauty purchase but TODAY ONLY there is no minimum! There are tons of kids clothes, shoes, jewelry, beauty and much more included in this sale! But hurry! Code: JULY for 25% off and free shipping no minimum ends tomorrow! 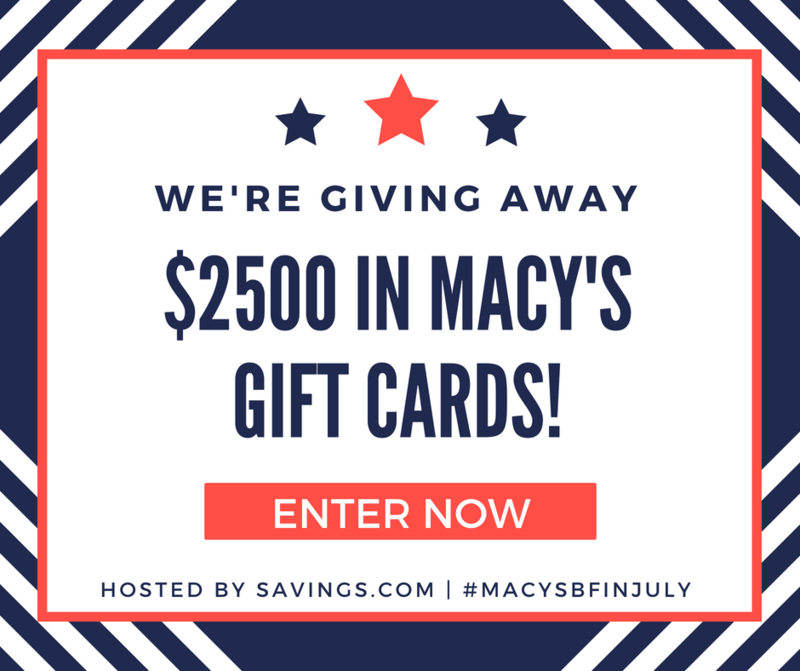 Enter the giveaway below by clicking the image for a chance to win a $100, $50, or $20 Gift card for #MacysBFInJuly Sweeps!